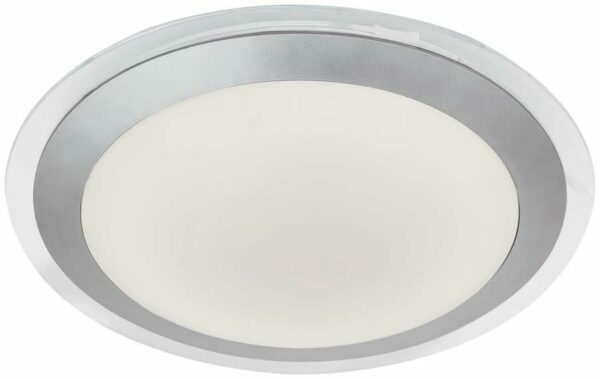 A simple 33cm diameter, IP44 rated bathroom ceiling light, with a stylish silver outer bezel and complementing white acrylic LED filled shade. A cost effective lighting choice for any room in the house with a lower ceiling height thanks to its 95mm fitted height. Fitted with 12 watts of warm white energy efficient LED lighting to help keep running costs low. Please note that there are no other products that match this splash-proof ceiling light.